You’ve probably heard the terms Shared Savings, Certificate Account, Money Market, and Dream CD but do you really know what they mean or the difference between them? 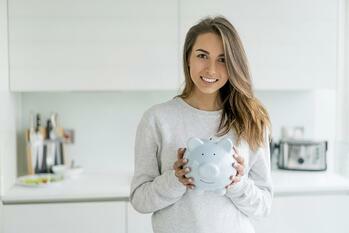 Here is a quick overview of the various types of savings accounts that are offered by Cyprus. A Shared Savings is the account you first opened when you became a member at Cyprus. There is a $5 balance required to start this account. You’ll have easy and convenient access to your information through our Home and Mobile Banking systems, which is free to all members. There is a limit of six withdrawals or transfers in a calendar month. You can set up your direct deposit to go to this account. Shared Savings features a lower interest rate compared to our other types of savings accounts. Your interest rate will increase once you have a balance of $10,000 or more. A Certificate is a savings account with a higher interest rate. They are less liquid than a Shared Savings account, meaning you must invest your money for a certain period of time from 6 months to 5 years. During this time period, you can not make withdrawals on your account. If you make an early withdrawal, you will face a penalty. You will need at least a $1,000 deposit when you first open a Certificate account. The longer of term you set, the higher your interest rate will be. A Money Market account offers a higher rate of return than a Shared Savings account. Unlike a Certificate, there is no minimum deposit and you can make up to six withdrawals or transfers in a calendar month with no penalty. These accounts do not feature a term length, but the higher your balance is, the higher the interest rate will be. A Dream CD is similar to a Certificate in that you can't make any withdrawals until the end of your term. However, you only need a $20 initial deposit to open your account and minimum $10 deposit every month. The longer term you set, the higher your interest rate will be. These accounts have a cap of $100,000 per member.